The Basics is a 90-minute training session that provides an overview of the key concepts behind a trauma-informed and resilience-building approach. The Basics is designed to provide a shared language that can be used across a variety of sectors, including healthcare, education, non-profit, personal growth, advocacy, law enforcement, social services, child welfare, criminal justice, or in a community-based approach. The Adverse Childhood Experiences Framework: In this section, we will explore the link between toxic stress and health outcomes and behavior. In addition to reviewing the findings of the original ACE study, related research that utilizes the study’s framework will also be shared. Social and Historical Trauma: In this section, we will cover the key principles of social, historical, and systemic adversity. We will also review the role of epigenetics and how individuals, groups, and societies can be affected by adverse community experiences across generations. The Body and Brain: In this section, we will examine how the body and brain are affected by toxic stress. We will define different types of stress and explain how it can become toxic. We will also explain the body’s response to positive and toxic stress. Resilience: In this section, we will define resilience, identify how protective factors can help heal the impact of trauma, and discuss how resilience can be built and sustained in individuals, organizations, and communities. The Basics is 90-minute training session that provides an overview of the key concepts behind a trauma-informed and resilience-building approach. 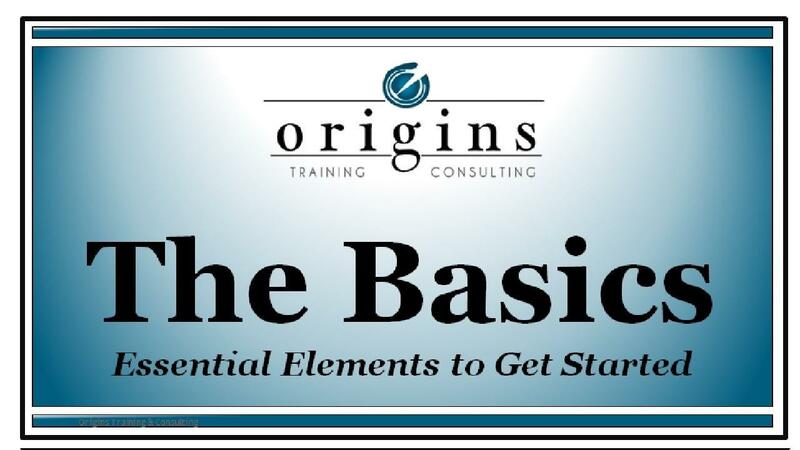 The Basics is designed to provide a shared language that can be used across a variety of sectors, including healthcare, education, non-profit, personal growth, advocacy, law enforcement, social services, child welfare, criminal justice, or in a community-based approach.